I've been in the mood for comfort food lately. This week's recipe definitely fits in that description. Preheat oven to 350 degrees. Mix first 5 ingredients together. Put in casserole dish. 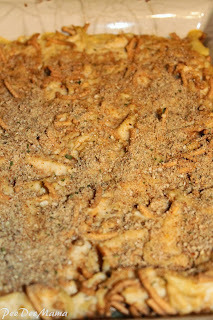 Top with bread or cracker crumbs. Bake 30 minutes. You can substitute turkey in place of the chicken, making this a great casserole for after Thanksgiving. 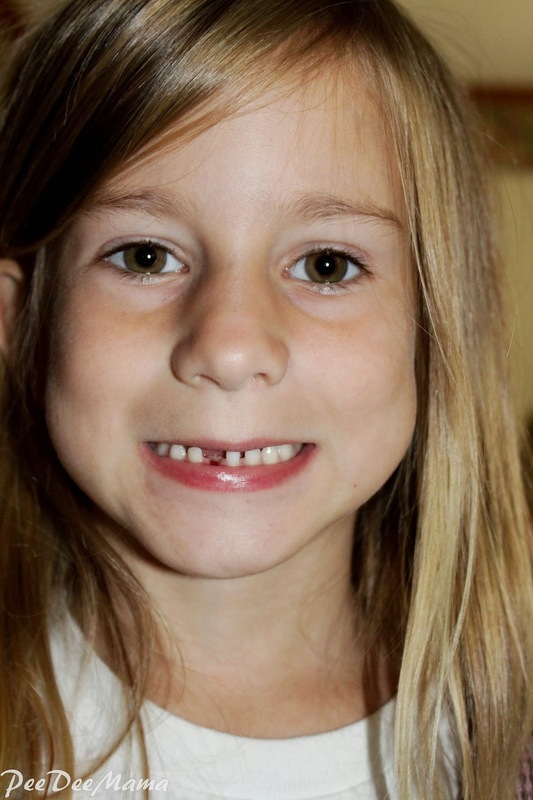 Sassy Pants lost her first tooth this weekend! Link up below to share your Wordless (or Word-full) Wednesday posts. I've said before that Ballerina is a bookworm. I'm always trying to find good books for her to read. 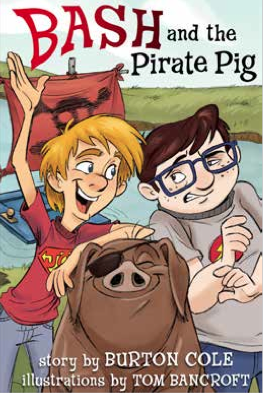 So when the opportunity came to review Bash and the Pirate Pig by Burton Cole, I jumped at the chance. Bash and the Pirate Pig, by Burton Cole, is the story of a cranky city kid named Raymond "Beamer" Boxby who must spend summer vacation at his younger cousin, Bash's, farm. Beamer prefers air conditioning and video games. He can't see what good can come of this so-called country fun that includes riding cows, river rafting with a pig, or playing with skunks. But hang tight, Beamer, because Bash's zany adventures with his "Fishin' and Farmin' book" (The Bible) just might lead to the coolest discovery of all. Burton Cole is a Pulitzer Prize nominated journalist with thirty years of experience and more than fifty humor writing awards to his credit. He grew up on a farm in northeast Ohio and attended a small-town church with a slew of cousins and buddies. That same boyhood inspires his colorful stories today. Tom Bancroft has more than twenty years of experience in the animation and illustration industry and worked with Disney on films including Beauty and the Beast, The Lion King, and Aladdin. Other clients have included DC Comics and Big Idea Productions. After reading Bash and the Pirate Pig, I completely understand how Burton Cole has won so many humor writing awards. This book was hilarious. The adventures that Ray "Beamer" and his cousin Bash get into had me literally laughing out loud. My small people couldn't wait to read it next because they wanted to find out what was so funny. In addition to the amusing situations the cousins find themselves in, there is an easy-to-understand salvation message found in Bash's trust in God and his love of the Bible, which he calls the "Fishin' and Farmin' Book." If you have children in the 8+ age group, this would be the perfect book for them, especially for boys. You can find more information about Bash and the Pirate Pig and its publisher B&H Kids at the following places: Facebook, Twitter, and the B&H website. Not only was I offered the opportunity to review this book, but I also get to offer a copy to one of my readers. Enter the giveaway below for the opportunity to win your own copy of the book Bash and the Pirate Pig. 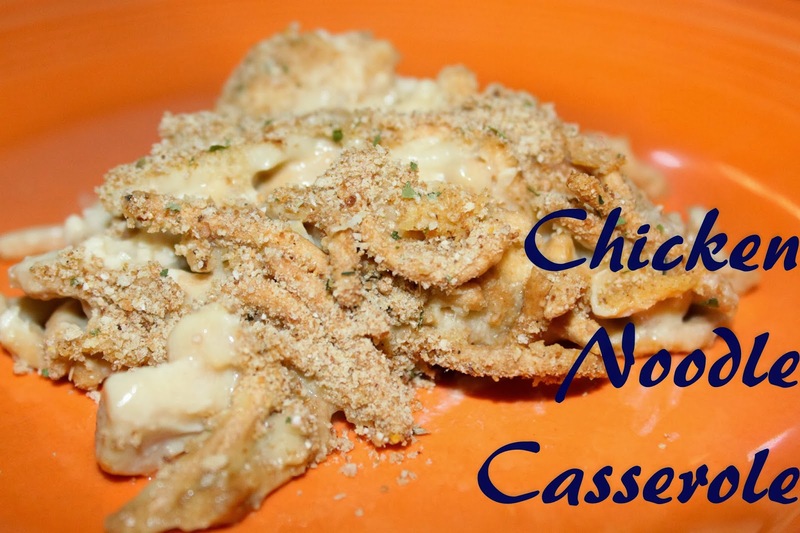 I love finding new recipes that quickly become fan favorites at my house. So when I found this recipe at A Peek Into My Paradise, I was really excited. My small people LOVE this on hamburger buns. I love that it spends all day cooking in my crock pot while I shuttle small people to ballet and soccer. 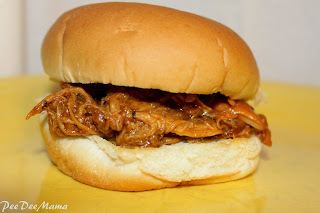 I like this with a spicy barbeque sauce to balance the sweetness of the Pepsi and the brown sugar. 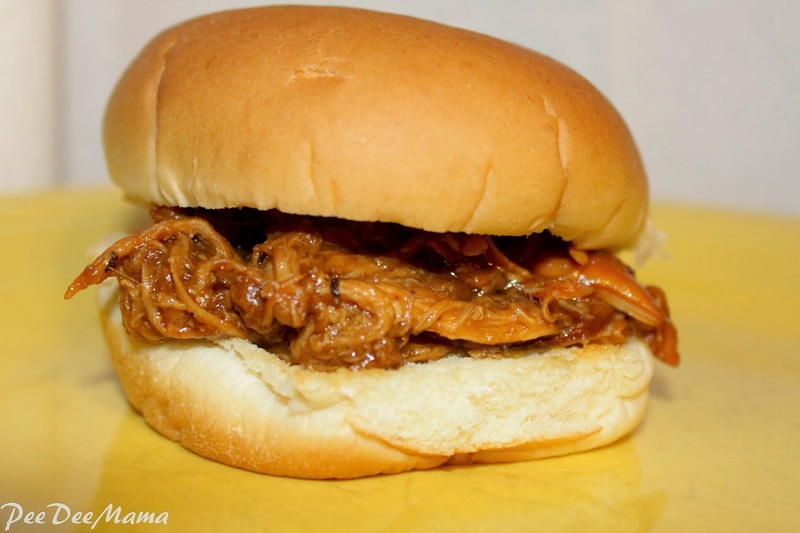 I don't want to steal her thunder (or her recipe) so I urge you to go check the recipe out over there. Little Red is not a soccer player, but she's put in her fair share of hours at the field watching the others. 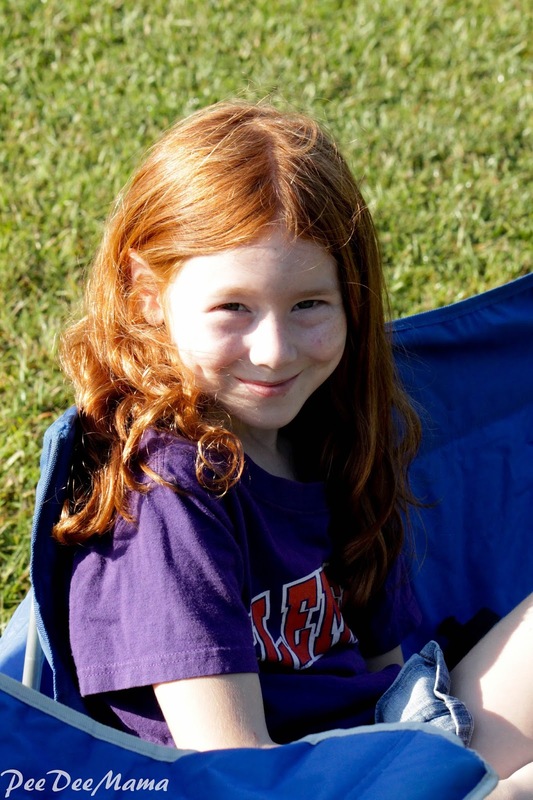 I love how the sun was shining off her red hair. Link up below to share your Wordless (or Word-full) Wednesdays. This has been a ridiculously busy week. Unfortunately, I haven't had a chance to make any new recipes or even get old recipes ready for a bloggy share. So I'm pulling this one from the archives. I'm so excited about fall coming that I am ready to do some baking. 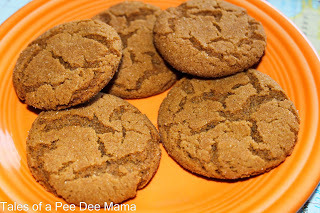 I foresee some gingersnap cookies in my future. Makes about 4 dozen cookies. Do you have a recipe you want to share? Link up below! Usually I only share 1 picture on WW, but today I have so many from this past weekend that I want to share. To spare you all, I'll only share 2. 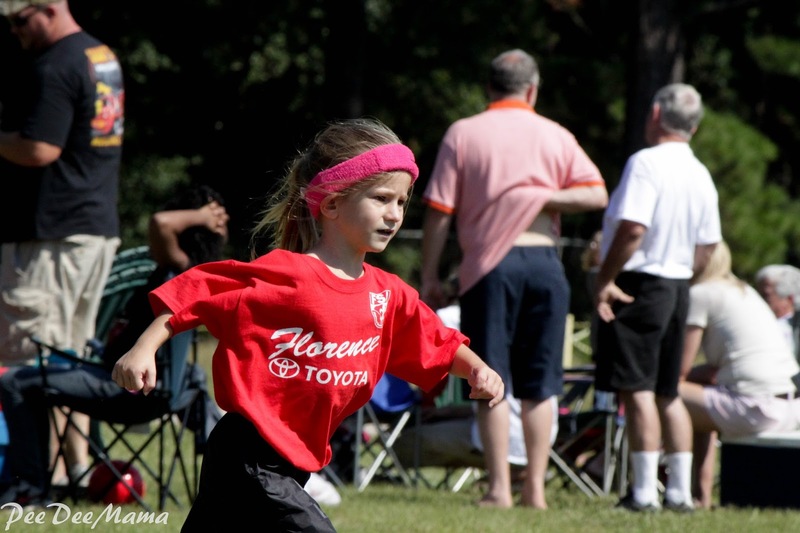 The first is Sassy on the soccer field. She LOVES soccer and is a pretty good player for her age. 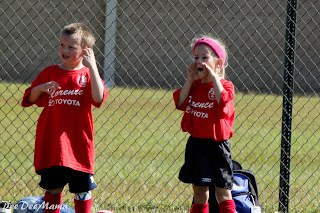 The second is Sassy cheering on her team while she was on the sideline. 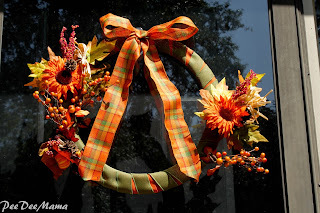 Link up your Wordless Wednesday post below. It's Fall! Okay, technically it is not fall. But in my brain, fall officially begins on September 1st. In my OCD world, every season would begin on the 1st of a month, not the middle. Ha ha! 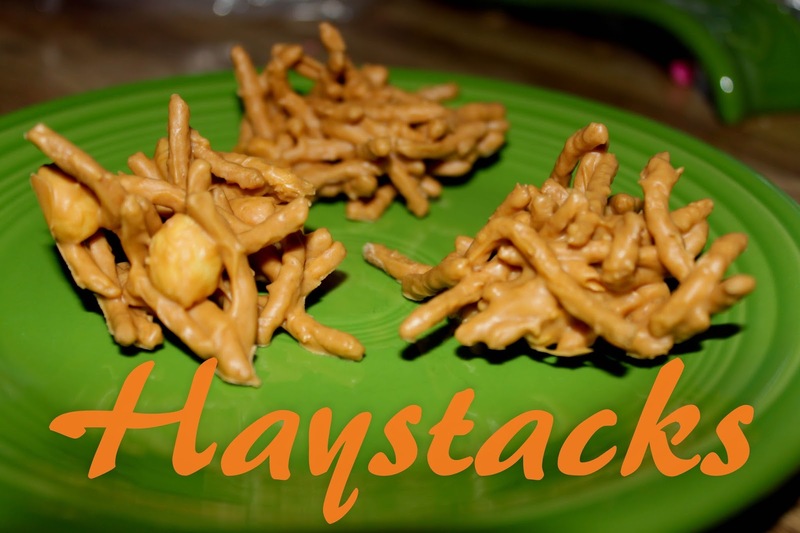 Anyway, to celebrate the beginning of fall, I made Haystacks. 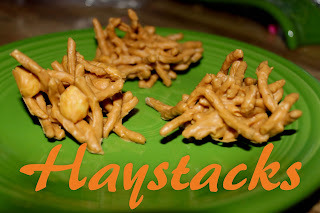 I remember eating these when I was a child. In microwave, melt butterscotch chips and peanut butter. Stir in peanuts and chow mein noodles. Drop by spoonfuls onto wax paper-lined cookie sheets. Chill in refrigerator until set. Store in airtight container in refrigerator. Have a recipe you want to share? Link it up below. I love fall. I love the weather cooling down. I love the leaves changing colors. (I do wish they would stay on the trees, though, because I'm not a big fan of raking. Ha ha!) I love the smells of fall - cinnamon, pumpkin, apple. 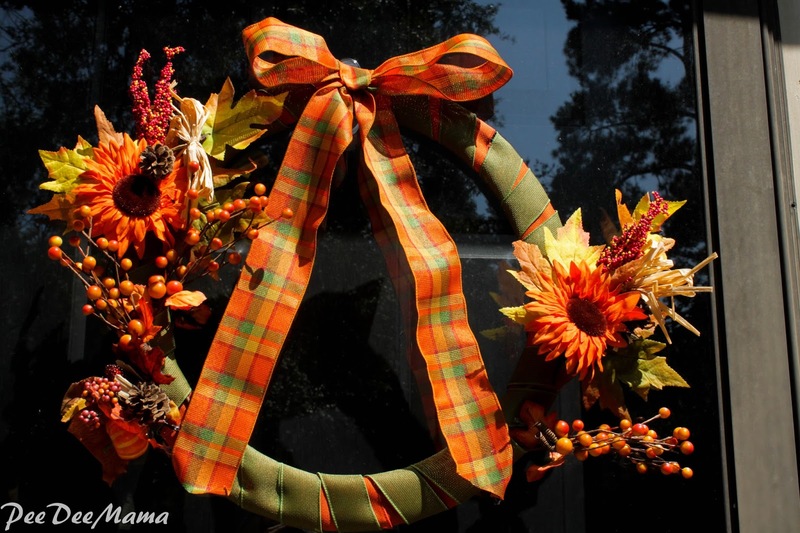 To kick start fall at my house, I decided to make a fall wreath. I've never made a wreath before, and now I'm wondering why not. This one was super easy, and I love the way it adds warmth to my front door. The Boy absolutely loves the dog. They are definitely best buds. Share your Wordless (or Word-full) Wednesday posts. I love to see what everyone else is up to.